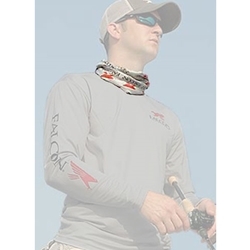 The Falcon Buff is the original multifunctional headwear! Whereever you're going,the Falcon Buff headwear is your essential outdooraccessory.It protects your head, neck and face from the elements and tells winds, sun, and cold to back off so you can stay out longer and play harder! The ultimate ultraviolet protection!! More than 12+ ways to wear it!